I think this book will be seen as iconic years from now, in the same way Where the Wild Things Are and Heather Has Two Mommies are. 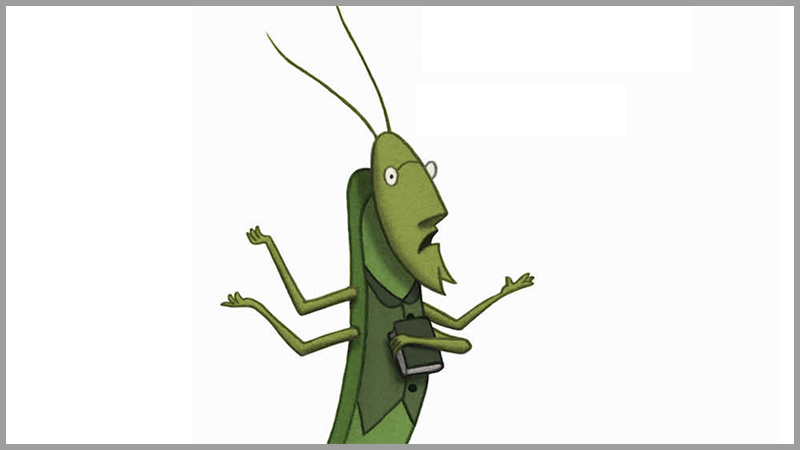 In a very simple text and pictures, the book reaches into the very heart of a problem and show us the simple solution. That this is all about love and about being able to say: Just because we have always done something one way, doesn’t mean we can’t do it another. And if the worms can understand this, why can’t we! Spread the love with this animated GIF! 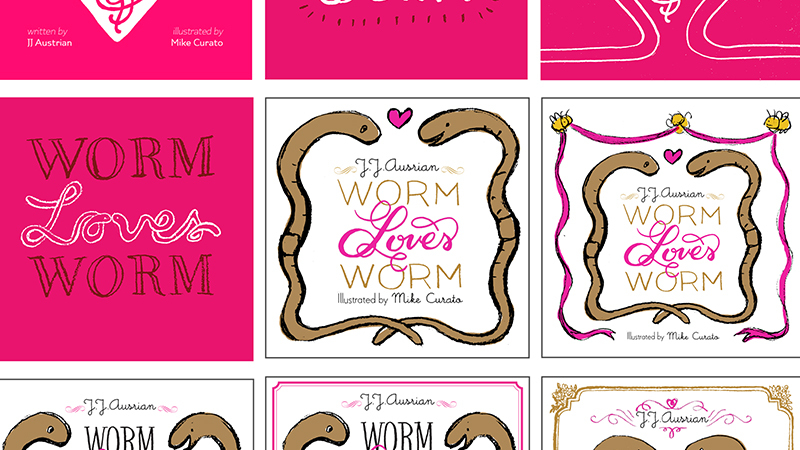 Take a peek inside the book to learn more about what makes WORM LOVES WORM such a special picture book. CLICK HERE to read and explore. 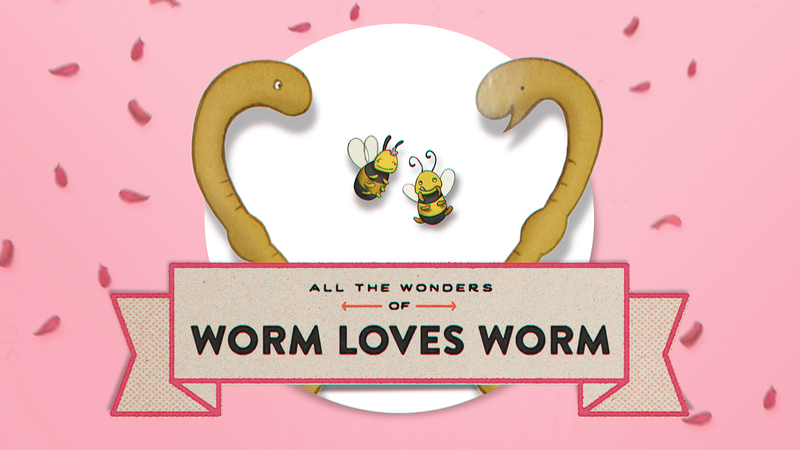 CLICK HERE to read the touching story behind the story of WORM LOVES WORM! HERE you’ll find a whole bunch of awesome character sketches PLUS original book cover concepts from Mike Curato himself! 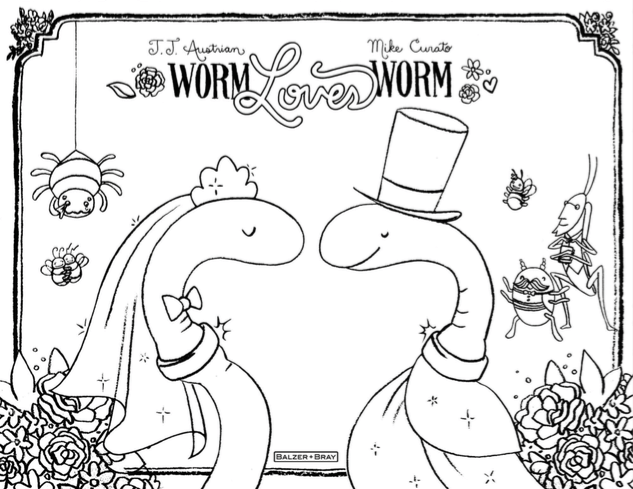 Here’s a special WORM LOVES WORM coloring sheet created just for you by illustrator Mike Curato. CLICK HERE to download. 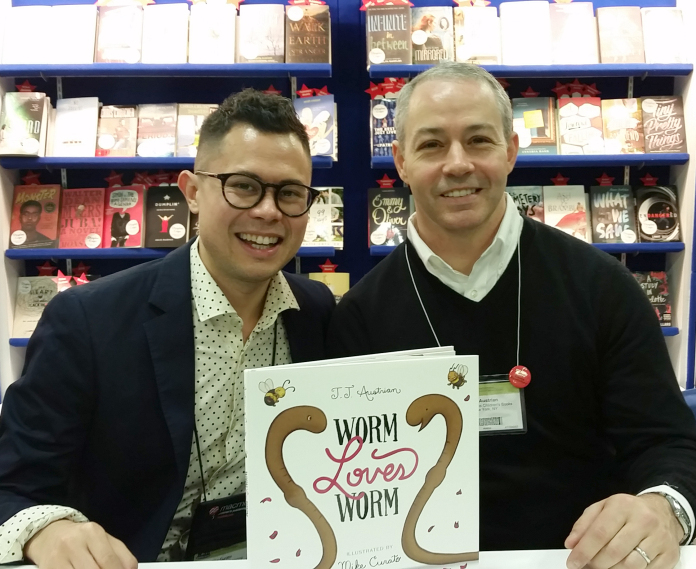 J.J. Austrian (right) and Mike Curato (left) are the author and illustrator respectively of WORM LOVES WORM. 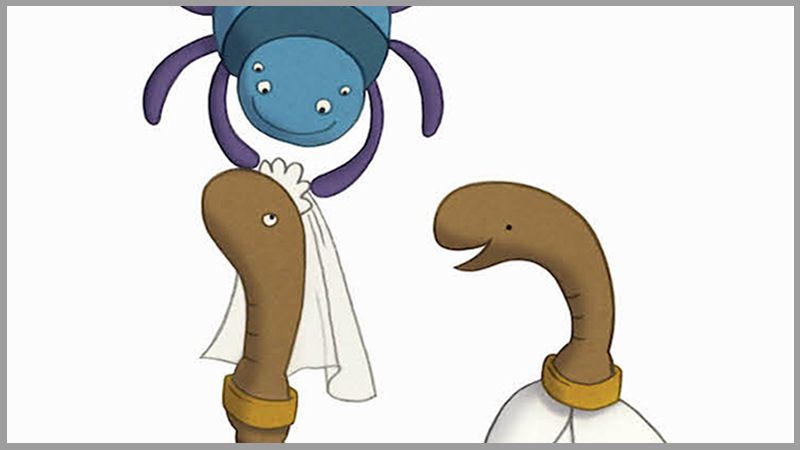 CLICK HERE to listen to their conversation on the Let’s Get Busy podcast and learn about how Worm Loves Worm came to be. I LOVE this book–it’s so perfect!